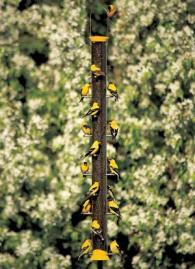 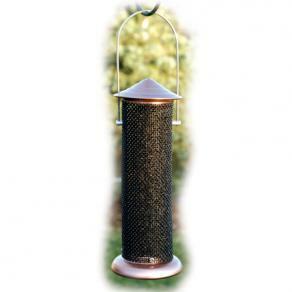 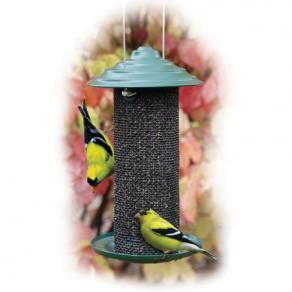 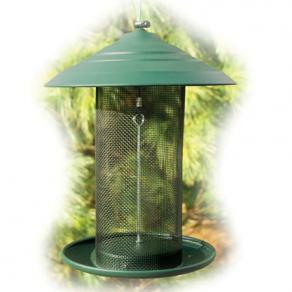 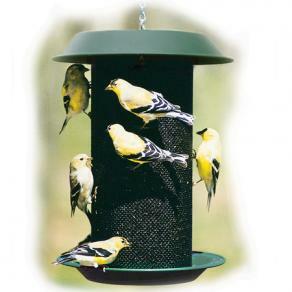 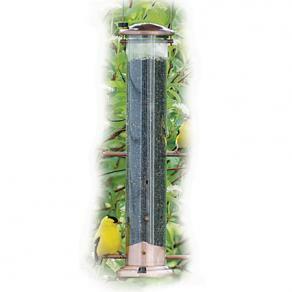 Attract many colorful wild birds including the goldfinch with a Nyger Thistle wild bird feeder. 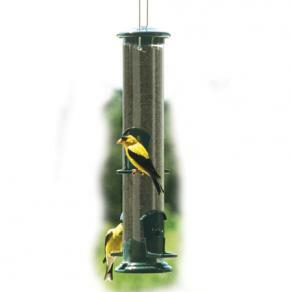 What makes these wild bird feeders unique is the size of the feeding port hole as well as the food that is served through these birdfeeders. 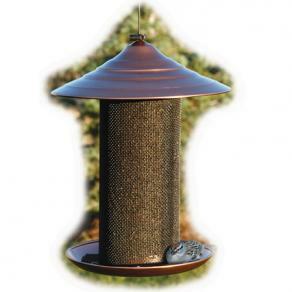 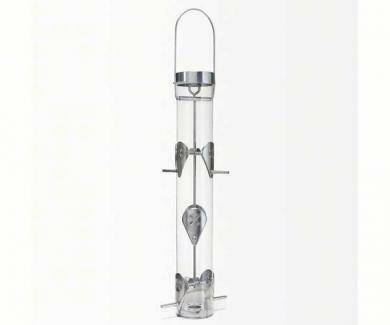 You will save on seed when using this type of feeder mainly because of the small ports which allow wild birds to remove the seed at a slower pace of one or 2 seeds at a time allowing you to watch more colorful song birds for a longer period of time. 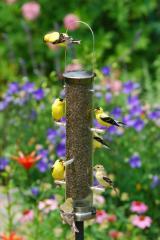 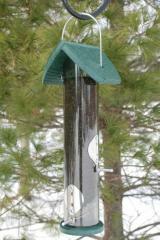 Birds attracted to Nyger Thistle seed and finch feeders are chickadees, finches, goldfinches, redpolls, and siskins .